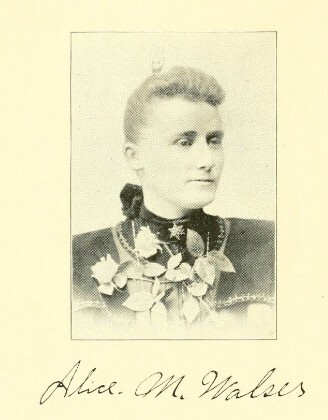 Alice Walser, wife of George Walser, founder of Liberal, Missouri, contributed two poems to his volume of poetry, The Bouquet. As I walk this world of cares? Down life’s long and troubl’d stream? As we feel to day they are ? Will I be a fond companion. Or like Pimpernel, will I change? Let my heart be always true. To a peaceful, honor ‘d grave. Spare your words, for I shall know. Through thy strangely alter’d kiss. I shall know love, I shall know. When your love begins to wane. I will know dear, I will know. In the rear of the book is given the following description of the pimpernel. petals on the approach of rain.